In post-production we edit your movie, choose music, and possibly integrate 2D- and 3D- animations. Together with editing, the heart of the post-production is the compositing. This refers to the process of combining multiple image planes (eg. from video footage, animated fonts or graphics) to create a new composition. As a part of the post-production, we cooperate with several speakers for voice recordings. If you want to use your film internationally, we also organize professional translations and the voice-over recordings in several languages. Furthermore we offer DVD and BluRay Disc authoring. The screen design and the creation of the menus are a further working step within this process. The design can be delivered according to your wishes and in your corporate identity. In addition to the selection of different languages ​​and subtitles, we design the cover and the DVD label. The duplication and printing is done by our partner companies. Post-production will take place in our office in Berlin-Kreuzberg. Good advertising and corporate films tend to be short and concise. The strength of this medium is to convey key messages to the point. The usual length of production formats range from 30 seconds up to 5 minutes. 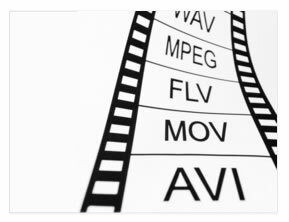 In order for your film to find its way to the audience, it must be converted to a suitable format and published afterwards. We produce in Full HD and help you to present your film on the internet. The finished film can also be delivered as a DVD or BluRay.